There’s nothing like grilled asparagus. It is the most simple side dish, but it also has incredible flavor when done right. Add 16 oz of liquid to drip tray and preheat Kenyon Grill to high. Place trimmed asparagus into a large mixing bowl. Add olive oil, salt and pepper and toss to combine until asparagus is lightly and evenly coated. 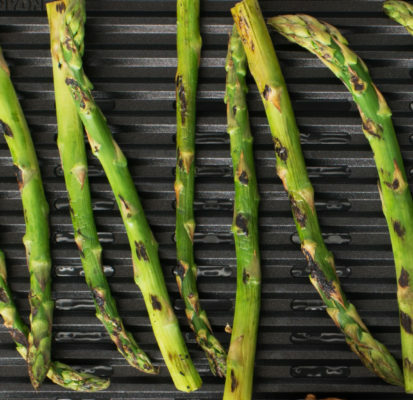 Place asparagus directly on the grill and close the lid. Cook for 10 minutes, flipping half way through.